When you join SMOKA-USA you do not have to change your regular structure or routine: i.e. 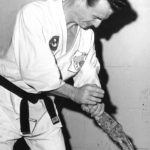 Kata, exercises, class structure or Gi. SMOKA-USA respects and will accept your past experience based upon legitimate rank. You only have to send in payment for rank increase when you request a SMOKA-USA rank certificate, otherwise you can use your own dojo rank certificates. SMOKA-USA has its roots in Okinawa, Japan. 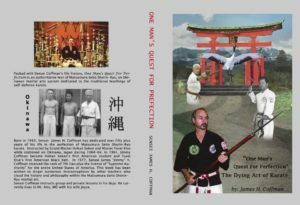 The association was formed by James H. Coffman, Fusei Kise and Grand Master Hohan Soken in 1975. The association was formed at the request of Sensei Soken. A patch referred to as “The Soken Patch” (see photo) was designed in the likeness of Hohan Soken to keep his memory and image within our lives forever, and to ensure his rightful place within the world of Okinawan Karate. 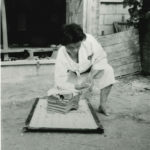 The design was made by the Okinawan members of SMOKA-USA, and the input of some Americans (James H. Coffman and others). The patch has the base colors of the United States: Red, White, and Blue. 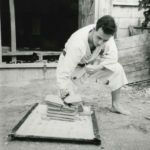 Coffman was Grand Master Hohan Soken’s first American student starting with O’Sensei in 1961and continued until leaving Okinawa in 1964. 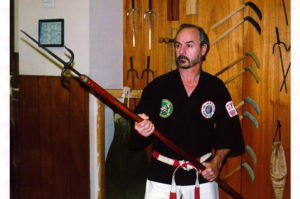 Coffman has had but two teachers in his long career of Karate. Hohan Soken and Master Fusei Kise.